Ever been confused by all the letters and squiggles used by scientists? 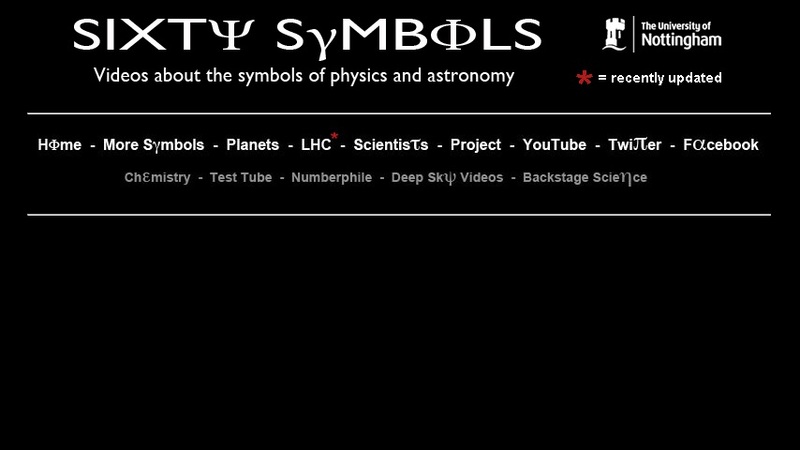 Sixty Symbols is a collection of videos by experts from The University of Nottingham. It's worth noting many that symbols have multiple uses and we sometimes tackle them from an unexpected viewpoint. And sometimes - when there's no symbol to tell a story - well, we just make one up! The energy gap explains why light travels through a pane of glass.